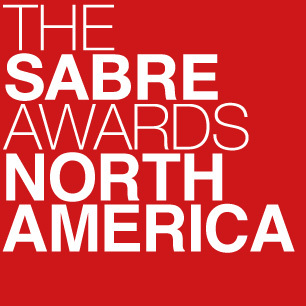 Interpublic PR agencies Weber Shandwick and Golin have made significant advances among the world's ten largest public relations firms, according to the 2015 World PR Report. Weber Shandwick has narrowed the gap on Edelman at the top of the global PR agency rankings, growing almost 15% (on a reported basis, including the acquisition of Swedish PR firm Prime) to reach $800m in fee income. Edelman, by comparison, grew almost 9% to $812m. Golin, meanwhile, enters the top 10 for the first time in the agency's history, jumping from 12th position last year after growing by more than 8% in 2014, to take ninth position ahead of Havas PR and Brunswick, which drops out of the top 10. Also of note was FleishmanHillard's performance. The Omnicom Group firm returned to significant growth in 2014, improving fee income by 8.5% to crack the $600m barrier and consolidate its hold on third spot. FleishmanHillard sister agency Ketchum also grew, by 4.5%, enough to see the latter PR firm overtake MSLGroup and land fourth position. MSLGroup declined almost 7%, thanks in part to a significant foreign exchange impact, because of the high proportion of revenues that it earns in euros. 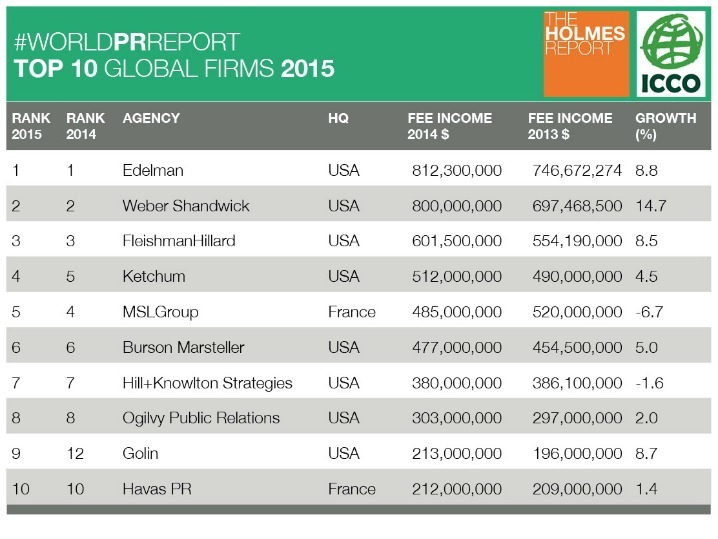 Overall, we estimate that the top 10 global PR firms generated fee income of almost $4.8bn, a 5.4% increase on 2013. A fuller picture of global PR industry size is provided by the annual ranking of the 250 biggest PR firms in the world, along with results of the definitive global survey of attitudes and trends among PR agencies, based on submissions from almost 400 PR firms from across the world. 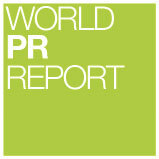 The global rankings form part of the World PR Report, conducted in conjunction with ICCO and powered by Newlio.